SALT LAKE CITY — For those lucky hunters who have a permit for Utah’s general archery buck deer hunt, the state’s Division of Wildlife Resources has announced there are plenty of bucks and a new website full of key information waiting for you. The archery hunt is Utah’s first major hunt of the fall and begins Aug. 20. To prepare for the hunt, Justin Shannon, big game coordinator for the DWR, encourages hunters to visit the new Utah Hunt Planner website. On the website are notes from biologists managing the various units hunters will hunt, general information about each unit, safety and weather items, unit boundary maps that identify which areas are public and which are private and the various types of deer habitat found on each unit. The website also provides data on the number of bucks to does on each unit. DWR biologists want hunters to have a great experience during the hunt, Shannon said. The number of deer in Utah is the highest it’s been since the 1980s, according to the DWR’s news release, and the number of bucks compared to the number of does is impressive too. 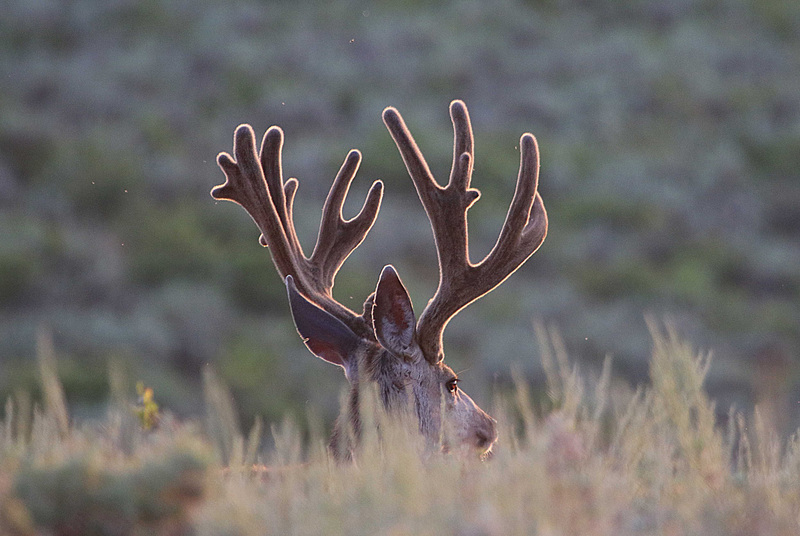 Based on surveys conducted by DWR biologists, Utah has a total population of more than 384,000 mule deer. In just four years, the state’s mule deer population has grown by more than 100,000 deer. The number of bucks in the herds is notable. After the hunts were over in 2014, the average ratio of bucks to does on general season units in Utah was 22 bucks to every 100 does. After the 2015 hunts, the ratio had increased to 23 bucks per every 100 does. Archery hunters taking a buck are on the rise too. According to the DWR, 16 percent of those with a general archery buck deer permit in 2013 took a deer. Just two years later, the success rate had increased to 22 percent in 2015. This fall’s hunt is expected to be similar to the 2015 hunt. This is a great article and is filled with very important information. The DWR is a great branch of the state of Utah and is operated in a very proficient manner of professionalism. job well done DWR.